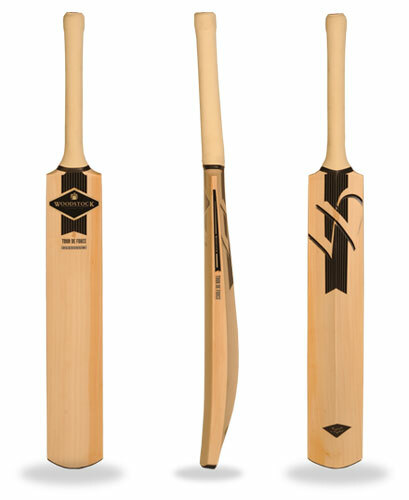 Woodstock Cricket pride themselves on producing top quality hand crafted professional cricket bats, they are made from the finest hand selected willow, grown in the Southeast of England and are fitted with the highest quality 12 piece Sarawak cane handles. Woodstock offers three great models the Airstream, Tour De Force and Curve, these are available in various weights and sizes and come pre prepared ready to use. A bespoke service can also be provided where you can specify your exact requirements. Woodstock brings traditional cricketing qualities and professional craftsmanship to today's competitive game. Players are fitter and stronger than ever requiring sophisticated equipment that not only brings the traditional qualities of bat making to the fore, but is also geared towards the demands of today's powerful, performance cricketer. Click HERE to view our Woodstock product range.